Washington, D.C. – The National Small Business Association (NSBA)and its two councils—the Small Business Technology Council (SBTC) and Small Business Exporters Association (SBEA)—are proud to welcome back in a leadership role to the Senate Committee on Small Business and Entrepreneurship Sen. Benjamin Cardin (D-Md.). Cardin will take over as Ranking Member on the Committee, replacing long-serving Committee member and Ranking Member Sen. Jeanne Shaheen (D-N.H.). It was announced Tuesday that Sen. Bob Menendez (D-N.J.) would regain his role as Ranking Member of the Senate Foreign Relations Committee, replacing Sen. Cardin who was then moved back to his leadership role on the Senate Committee on Small Business and Entrepreneurship. 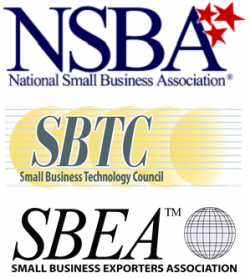 Celebrating more than 80 years in operation, NSBA is a staunchly nonpartisan organization with 65,000 members in every state and every industry in the U.S. SBTC is NSBA’s hi-tech industry association of companies dedicated to promoting the creation and growth of research-intensive, technology-based U.S. small business. SBEA is the largest and oldest nonprofit association in the country dedicated exclusively to small- and mid-size exporters. Please visit www.nsba.biz or follow us at @NSBAAdvocate.